This week the Mayor of Brighton and Hove, Councillor Denise Cobb, unveiled a blue plaque at 8 Kings Gardens Hove, where Edward VII frequently visited his friend, a member of one of the wealthiest families in the country, Sir Arthur Sassoon. The young Prince Edward, later Edward VII, first visited Brighton with his parents, Queen Victoria and Prince Albert, in 1842, aged less than one year. 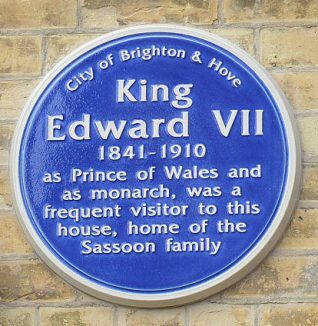 Edward came to Brighton many more times as Prince of Wales. After he succeeded his mother on 22 January 1901 at the age of fifty-nine, he convalesced in Brighton on several occasions in an attempt to improve his health; he suffered from bronchitis. The return of the sovereign to Brighton after some sixty years helped to re-establish Brighton’s fashionable reputation and winter society season, and brought about a general revival in the town’s fortunes. 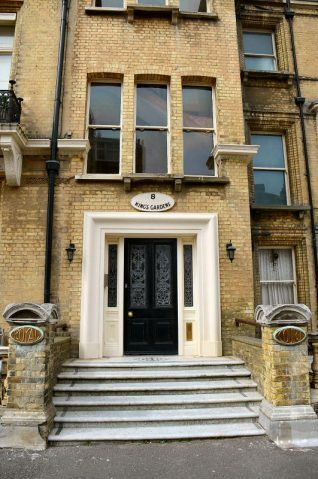 Edward VII also stayed with his daughter, Princess Louise, Duchess of Fife, at her house, 1 Lewes Crescent, for a week in February 1908 and was afforded exclusive use of the Kemp Town enclosures. 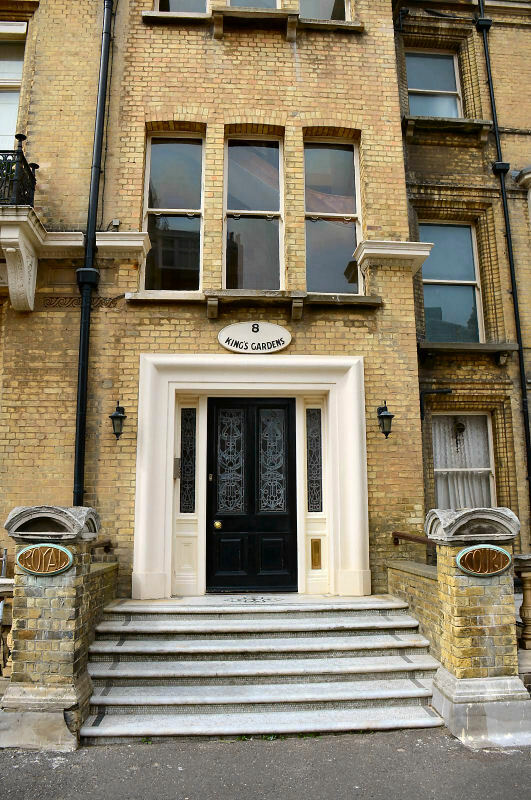 Every day during his February visit the King was driven to lunch with his friend Sir Arthur Sassoon, who lived at 8 Kings Gardens Hove, in a state of extreme splendour attended by forty servants. The Sassoons were staggeringly wealthy, known as the ‘Rothschilds of India’. They owned many properties in the city, while their business empire spanned India, Japan and China, including involvement in the opium trade. When he visited Hove, Edward had a favourite bench in a shelter on Hove seafront, across the road from King’s Gardens at the bottom of Grand Avenue.